WKF and EKF President Antonio Espinós was welcomed in Malta by the president of the National Olympic Committee Julian Pace Bonello. 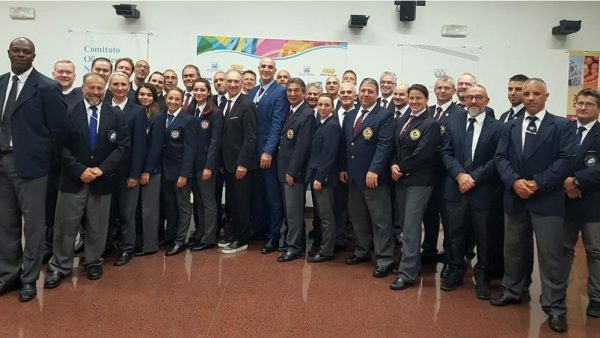 The inclusion of Karate in the programme of the Games of the Small States of Europe to be held in Malta in 2023 was on top of the agenda of the meeting. 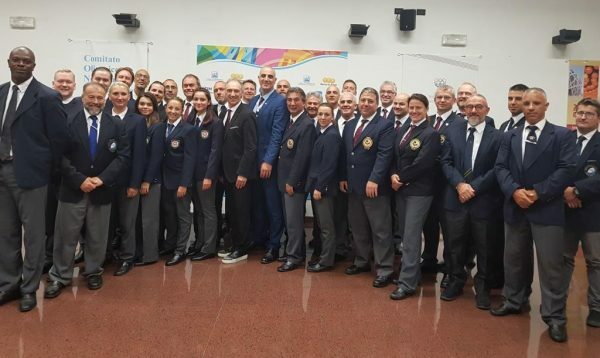 As a result of the efforts of Karate’s international governing body to expand the presence of the sport in all multi-sports events, Mr Espinós’ visit had the goal of showcasing the values of the discipline ahead of the decision of finalising the sports programme for the 2023 Games of the Small States of Europe. A report presenting the candidacy of Karate to be included in the event in 2023 was presented and the many achievements of the sport in the region were highlighted. The meeting was also attended by the Sports Director of the Maltese National Olympic Committee Ivan Balzan, the Secretary-General of the Malta Olympic Committee Joseph Cassar, the president of the Small States of Europe Karate Federation Andreas Vasileiou, the president of the Maltese Karate federation Kenneth Abela, and representatives of the national Karate federation, Audrey Zammit and Jesmond Schembri. “Karate can bring many values to the 2023 Games of the Small States of Europe. 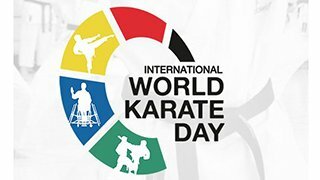 We are convinced that our sport will be an excellent addition to the event to be held in Malta due to the popularity of our sport, our sporting spirit and the tremendous influence on Karate in young ages. We hope to have the support of the Maltese National Olympic Committee and I would like to thank its president Julian Pace Bonello for taking the time to welcome us here,” declared WKF and EKF President Antonio Espinós. 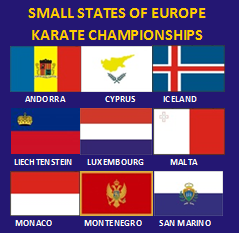 San Marino hosted the 5th edition of the Small States of Europe Karate Championships. The event had the participation of all nine nations representing the small states of Europe and ended with Cyprus dominating the competition. The Cyprus delegation finished the tournament with a total of 80 medals including 21 golds. Luxembourg with 54 medals and Montenegro with 13 awards also registered successful performances. 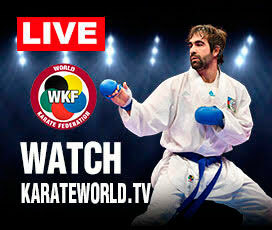 Nearly 500 karatekas from nine countries gathered in San Marino for the fifth edition of the competition. The SSEKF Championships comprise the members of the Games of the Small States of Europe GSSE-multisport event, namely Andorra, Cyprus, Iceland, Liechtenstein, Luxembourg, Malta, Monaco, Montenegro and San Marino. Cyprus presented the largest delegation with 157 competitors. 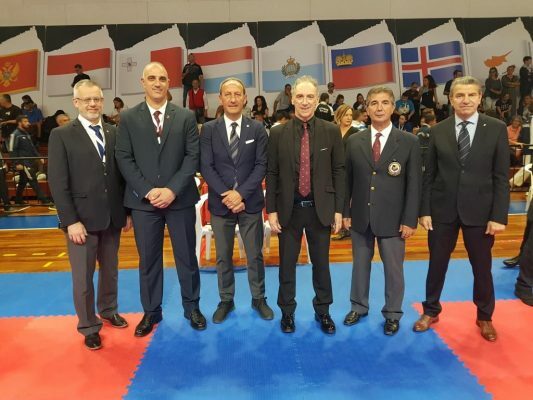 After the successful fifth edition of the championships held in San Marino, the event heads to Iceland, where the 2019 Small States of Europe Karate Championships will be celebrated from September 14 to 15, 2019. 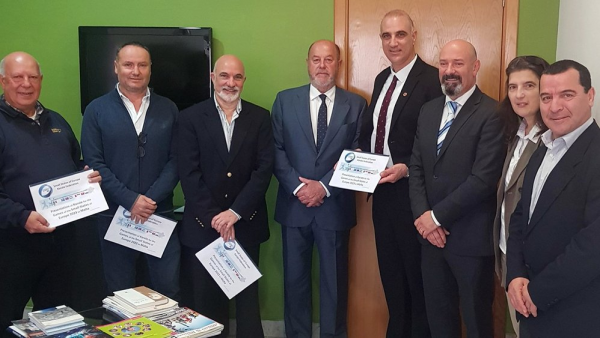 From left to right: Iceland Karate Federation president Reinhard Reinhardson; Cyprus Karate Federation and SSEKF president, Andreas Vasileiou; San Marino Olympic Committee president, Gian Primo Giardi; San Marino Karate Federation president, Maurizzio Mazza; Chief referee, Giuseppe Zaccaro and representative of Secretary of Sports of San Marino at the event. The 5th edition of the small states of Europe karate championships has been organized in San Marino 28-29/9/2018 with great success. The countries that had the right to participate at SSEKF championships are those that are members of the Games of the Small States of Europe GSSE-multisport event. During the championships all 9 nations participated (Andorra, Cyprus, Iceland, Liechtenstein, Luxembourg, Malta, Monaco, Montenegro and San Marino). 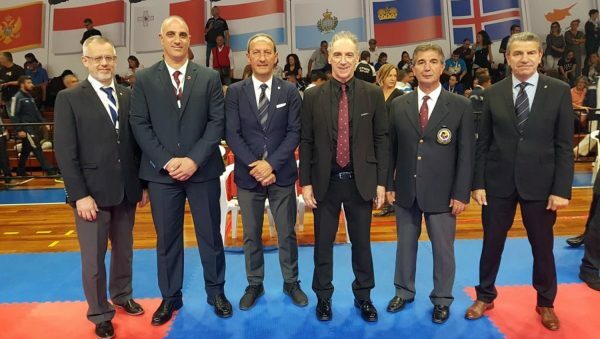 President of S.S.E.K.F Andreas Vasileiou stated that “this would not be a success without the tremendous support of the San Marino karate federation and its president Maurizio Mazza and more over the executive and organizing committee. Moreover I want to praise the executive committee members for their full support. Special thanks to the president of EKF/WKF Antonio Espinos for his continuous support and guidance to succeed the entrance of karate as a full member of Games of the Small States of Europe GSSE for 2021.” Now, our aim remains the same to continue working hard to enter the GSSE 2023. The 5th edition of the SSEKF proved to be the biggest championships organized ever with 489 entries in both individual/team kata and kumite in 4 tatamis. The athletes experienced a tremendous positive change in the level of the competitions and thus they were many fights that it was difficult to predict the winner. Next year’s championship will be in Iceland 14-15/9/2019.